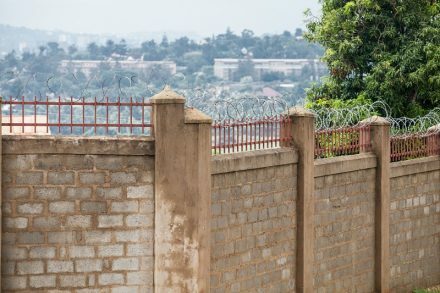 To fill the gap between international norms and the relative lack of information on how to build a compliant prison in difficult circumstances, UNOPS recently developed a Technical Guidance for Prison Planning document that facilitates a human rights-based approach in the development of prison infrastructure. This blog post by Gordon Nuttall and Pedja Jurisic (UNOPS) is adapted from the manual, which was updated in 2016 to reflect the recent adoption of the Mandela Rules, and outlines some common ‘mistakes’ in prison design, and three key principles to keep in mind. Thanks in no small part to the work of organizations like PRI, it is today firmly established that the grave problems common to many prisons—overcrowding, human rights violations, and punitive and ineffective rehabilitation regimes—are symptoms of larger problems within criminal justice systems. Comprehensive reforms are required, not just the construction of more prisons. But better prisons are needed—facilities that ensure a safe and dignified environment for prisoners and prison staff, and enable the fulfilment of human rights obligations. Unfortunately, despite a growing body of international norms and standards that set forth clear expectations for the humane treatment of prisoners, too many prisoners continue to languish in appalling conditions. These circumstances are often aggravated by poor planning of the prison facility, exhibited not only in the frequent negligence of the basic human needs and dignity of the prisoner, but also in the lack of provisions for effective prison management. Incorporating unnecessary security measures compared to the actual risk posed by prisoners. This common error increases costs exponentially and often exacerbates the prisoners’ quality of life. Mixing too many categories of prisoners within one prison. As a result, prison staff will find it challenging to achieve complete separation (physical, visual and auditory) of prisoner groups. Locating prisons in remote/unsuitable areas. As a result, prisoners are often separated from their families and potential community resources that can assist in their rehabilitation and resettlement. Lack of hygiene facilities, and drinking water in cells. Creating prisons with uniform cells of a single size. As a result, prison staff will face a more difficult task in the day-to-day management of prisoners. Making non-contact visits the default visiting arrangement, and preventing prisoners from having physical contact with their families. Not having sufficient infrastructure to support the rehabilitation of prisoners. Some requirements of prison facilities are easily defined and have measurable parameters. However, a prison is neither functional nor humane if it merely provides sufficient space and essential services. Though cells may be large enough to accord with international expectations, for instance, prisoners must also be allowed to spend most of their waking hours outdoors or in day-rooms to every extent that this is possible and practicable. Likewise, prisons should have the physical infrastructure to promote a safe environment that supports the rehabilitation of prisoners, providing them with access to work, education, family visits, and other activities and programmes to advance rehabilitation. With regard to prison staff, the prison design should include considerations of prison management as early as possible in the planning process. If the operation of the prison does not define building design, the building design will define the operation of the prison. That is, without sufficient attention to the security processes required to manage the prison, staff will seek to maintain order within the constraints of existing infrastructure. This may often result in violations of international human rights standards. A prison that is controlled, safe and secure can allow the prisoner population a greater degree of freedom. The design of the facility should allow for the safe and effective management of prisoner movement. Given a secure cellblock yard, for example, prison staff can allow prisoners free access to the open space. However, if there are questions about their ability to secure this area, prison staff may prevent prisoners from moving outside their locked cells, thus reducing or eliminating the use of spaces intended to benefit prisoners. If prisoner movement between spaces is not easily managed, staff are likely to control prisoners by confining them to spaces. 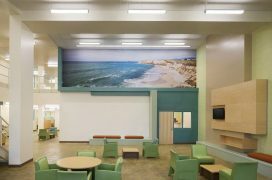 Creating a physical environment where prisoner movement is effectively controlled can allow prison staff to let prisoners out of their cells during day hours to spend more time engaged in rehabilitative activities. The construction and rehabilitation of facilities should be based on a prison profile that identifies certain basic requirements of the prison, such as the number and category of prisoners to be housed, the availability of supplies and services, and the necessary number of staff for its operation. Operational factors, such as the method and frequency of prisoner transfer, and number of visitors, should also be established. The data contained in the prison profile are essential to ensure that user needs receive adequate consideration in planning the physical capacity of the prison. In particular, the physical, visual, and auditory separation of different categories of prisoners—men and women, pre-trial and convicted, general population and vulnerable prisoners—is a fundamental consideration in the planning of prison infrastructure, essential to the promotion of safe, decent, and humane conditions in detention. Without adequate consideration of the separation of categories, the safety of vulnerable prisoners will be at risk and staff will have a difficult task of managing the prison in accordance with its responsibilities. In the course of managing the physical separation of different prisoner categories, it is also imperative that the prison regime does not violate the principle of non-discrimination, which requires that each category of prisoner receive equal access to all available resources and services. Download a copy of the UNOPS Technical Guidance for Prison Planning. This Guidance has been newly updated to be in line with the revised Standard Minimum Rules for the Treatment of Prisoners – the Nelson Mandela Rules. It includes a Foreword by PRI’s Policy Director, Andrea Huber. Gordon Nuttall is the Head of Standards at UNOPS. An architect with more than 30 years’ experience in multi-disciplinary consultancy, he has extensive experience in post-conflict and post-disaster settings. Pedja Jurisic is the Design Review Coordinator at UNOPS and coordinated the development of the technical guidance document. Gordon Nuttall and Pedja Jurisic both work for the United Nations Office for Project Services (UNOPS), which supports the successful implementation of its partners’ peacebuilding, humanitarian and development projects around the world. Minus the urinals and painted pink? What should a women’s prison look like?